Can someone hook me up with some websites or actual photos that contain images of the Family wearing their traditional robes? 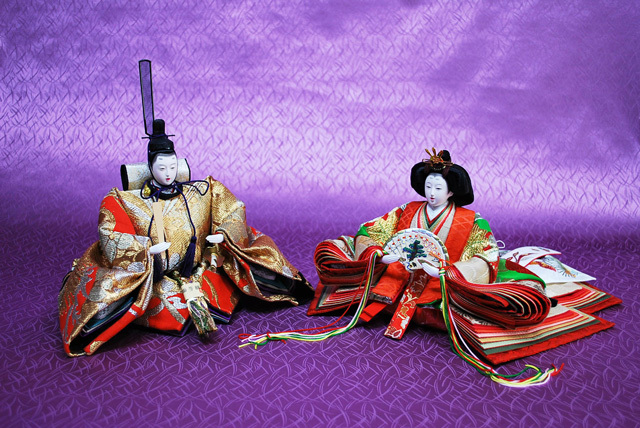 Have a look at our wedding forum for any of the Imperial weddings and you should see them in their traditional robes. Also, there's a photo of Empress Teimei in her coronation robes in the historical picture poll (which closed yesterday). At wikipedia you can see them in their robes. 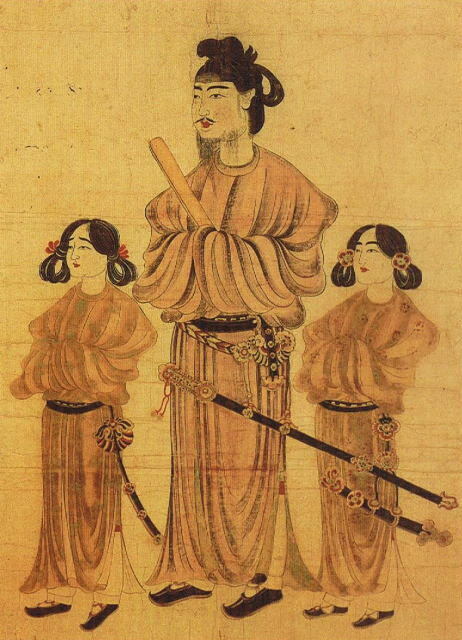 At least I found them there from Emperor Komei til Prince Akishino. You see, I've already got a vast collection stored away at photobucket of these sorts of pics. I think it is between 35-40 pics. I just wanted to see if I could wrap up my collection by finding any others. There's a photo in one of the issues of Majesty magazine showing Empress Michiko dressed for her husband's enthronement ceremony in 1989. Do you have a copy of that one? Here's pics of all I've got. Just curious, is there any special significance in the difference of coulours/patterns between the wedding robes between different members of the impirial family? For example, between the Crown Prince & Crown Prince and Prince Akishino & Princess Kiko, their wedding robes are differnt in colour/pattern, is there any special reason for that besides the difference in rank? It may have to do with the time of year they got married. The colour combinations have a seasonal significance, so that might explain the different colours. It could be something as simple as the personal preference of the bride, but I suspect it's more symbolic. Wow... They looked great on their Imperial robes. Thanks so much Paul for the lovely pictures. "You might have fears and worries about joining The Imperial Family but I will take the best possible care of your heart and I will protect you my entire life"